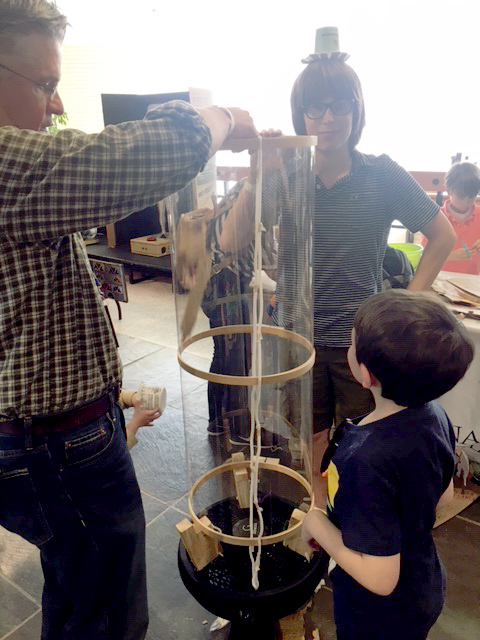 The Asheville Mini-Maker Faire was held on Saturday, April 6, on the campus of UNCA and was an opportunity for makers (crafters, inventors, programmers and more) to share their ideas and gain inspiration from one another. Carolina Day School brought our wind tunnel with us and encouraged some of the youngest attendees to design and build something out of recycled materials. When they were done, we placed it in the wind tunnel to see if it would float. Our booth was besieged with young builders and makers. Some worked on their projects for a half hour or longer, trying several different designs. CDS adults and students were able to connect with creators, designers, and tinkerers from across the region! Thank you to all who encouraged participation in this family-friendly showcase of invention, creativity, and resourcefulness. We hope everyone enjoyed the event and left feeling inspired. Learn more about the Asheville Mini Maker Faire at asheville.makerfaire.com. For more information about Carolina Day School visit carolinaday.org or call 828-274-0757. Asheville's co-ed independent day school, where inclusive community, inspired teaching, and innovative program create a journey of excellence for each student.